The Back-to-School Picnic is an annual school-wide event in August that brings together YISS families, teachers, and staff for delicious food, live music and lots of fun. 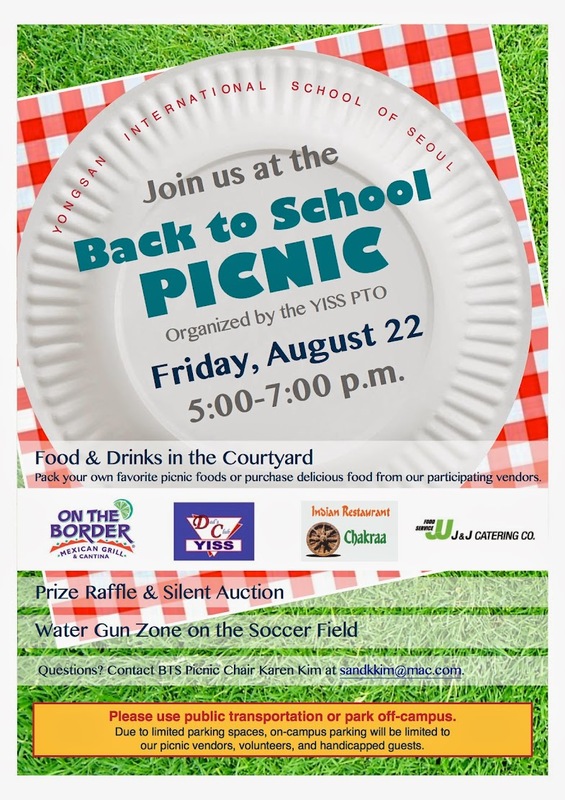 Hosted by the YISS PTO, the annual picnic serves as an ideal opportunity for many to meet new families and connect with others in our school community after the long summer break. In addition to great food provided by area restaurants, there are several fun activities for children to enjoy, such as the water gun zone. Sign up to Volunteer. First 25 volunteers will award you a parking pass.